Gambling addiction is a disorder suffered by millions across America. Gambling addiction increases the likelihood of divorce, through the financial and emotional problems that it causes. Gambling addicts run a high risk of suicide or substance abuse. Marriage is sometimes described as “a game of chance,” and given its decisive nature and how often the results of a marriage are not what was hoped for, it’s understandable that the union is sometimes seen as a game. We, as a society, take a gamble when we enter marriage, and with a percentage at possible success being a risk, it’s no wonder that so many who enter this “game of chance” try their hand at gambling. Gambling is not an inherently bad practice. Studies at Yale University have shown gambling to help stimulate the health in seniors, and the benefits to the local economies and local governments of gambling establishments are astronomical. However, like many consumable passions, too much gambling can create a spiraling effect that can damage every aspect of one’s life, including their marriage. Gambling addiction is an impulse-control disorder. The expansion of Internet gambling has increased the number of Americans suffering from compulsive gambling. Recent research from Rehab International suggests that approximately 2.5 million Americans suffer from compulsive gambling, while 3 million are considered problem gamblers; gamblers who have an urge to gamble continuously despite harmful negative consequences or a desire to stop. There also are approximately 15 million adults under the risk of becoming problem gamblers. Comparatively, there still are 148 million American adults falling under the category of low-risk gamblers. With more than $5 billion lost each year to this disorder, gambling addiction can have grave financial consequences. Research has also shown that two out of three gambling addicts will engage in illegal activities to pay for the gambling debts. Despite these numbers, much of the data regarding marital and familial problems involved with a person or persons with gambling addiction is anecdotal, according to The Journal of Clinical Psychiatry. That being said, the number of gambling addiction anecdotes ending in divorce or separation has created the data needed to study. Additionally, an economic burden is created, sparking grave social and financial effects within a marriage. Statistics show that 65 percent of marriages that consist of one spouse with a gambling addiction end in divorce, according to Rehab International. More than 85 percent of families with one or more spouses with a gambling addiction have reported receiving threats from creditors and bill collectors. Compulsive gambling also affects the children in these marriages. According to the research, these children experience physical and emotional abandonment, often finding themselves left in cars while their parent is gambling. They also face verbal, physical, and mental abuse, as well as a high chance of developing a gambling addiction later in life. Early studies have shown that the expectations of a marriage can be problematic for the gambler. In their eyes, a spouse is an additional financial burden on a budget already at its breaking point, due to gambling losses. It also forces the gambler to become deceptive in their activities and losses, often utilizing household funds as a frequent source to pay gambling debts. According to the Journal of Gambling Studies, this type of behavior can spiral into many grave mental and psychological problems, which can result in suicidal tendencies or behavior. Studies of pathological gamblers found suicide attempts range between 12 and 24 percent of the respondents. In addition, divorced men are twice as likely to commit suicide than divorced women. In addition to the risk of suicide, gamblers are at risk for drug and alcohol abuse. Due to the addictive nature of their personality, studies have shown that a majority of gambling addicts have similar struggles with substance abuse. According to the National Epidemiologic Survey on Alcohol and Related Conditions (NESARC), 73 percent of gambling addicts also are problem drinkers, while 38 percent were found to have a drug abuse disorder. Nicotine habits also are apparent, as 60 percent use it in some capacity. These risks create a toxic atmosphere that lends itself to marital discord. The time in one’s life when they are facing their addiction is a vulnerable time, and when you have the expectations of a spouse to live up to, it can feel like an outlet like excessive spending or substance abuse is vital to one’s existence. During divorce proceedings, a temporary restraining order on finances can be imposed in some jurisdictions, which if violated, causes a dissipation of assets for the spouse in question. Gambling addiction is a common example of spending that causes dissipation, due to it being considered wasteful, excessive and not condoned by the other spouse. The situation can spiral if the non-gambler spouse ever sought help or took action to stop the excessive spending. This can remove some of the culpability from the non-gambler spouse and help their overall case. Seeking help with your gambling addiction is imperative to your overall health. 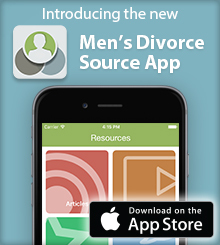 We, at MensDivorce, strongly recommend you solicit treatment to help you heal and move forward in your life. There are inpatient facilities that are designed to treat the compulsive behavior of gambling and its causes, and there also are outpatient clinics providing identical programs, but allowing patients to maintain a separate residence. The National Council on Problem Gambling has a 24-hour confidential helpline to connect your to a network of resources ready to help. Gam-Anon is a resource dedicated to helping the family and friends of someone suffering from a gambling addiction. Gamblers Anonymous is a network of support groups, helping others to recover from their gambling addictions through their common experiences. Additionally, there are therapy and counselling programs dedicated to one-on-one treatment of gambling addiction. Seeing the effects on one’s marriage does not always open the eyes of an addict. Their addiction can create the emotional breaking point that leads to a separation or divorce, but that’s not where the game ends. The game ends when those who suffer from gambling addictions are given a chance to heal and lead healthy and whole lives.